Being a foreigner in a foreign land has the potential to be isolating and disorienting, as you run the risk of stripping yourself of the emotional and/or physical resources needed to maintain your identity. Or, it can give you that ego boost you need, making you feel just that much more interesting, more special, and more confident to take social risks that you may not have taken at home. Recently, I found myself at a birthday party where I knew only a few of the attendees, not even the birthday girl. As I began chatting with another guest (who, for what it’s worth, only knew one attendee: more logically, the cumpleañera), not surprisingly, the topic of being in an unfamiliar place and meeting new people cropped up. My conversation partner, an admittedly-shy Spaniard who has lived all over the peninsula, mentioned that it must be even more difficult for me, since I have to be outgoing, a task that can already be challenging, and on top of it all, I must do it in a foreign language! The look on her face said it all: oh, the horror! 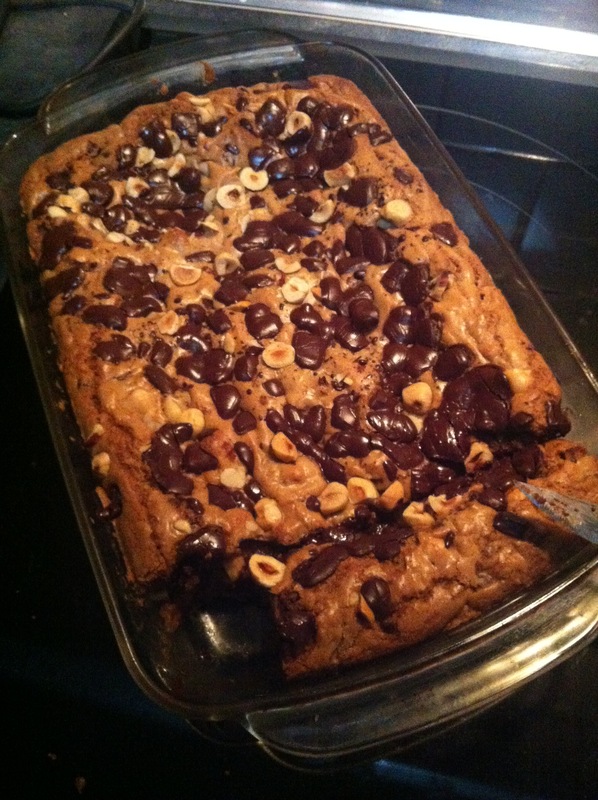 And then, as if to seal the deal, a few days later I gained fame within a group of friends after bringing chocolate hazelnut brownies (a riff on my mom’s friend Jane’s famous congo bars) to a gathering. The brownies were pretty darn delicious if I do say so myself, but the fact that my making of such a simple recipe was just that, “an intercultural event,” was telling. Perhaps, had the attendees been American, I wouldn’t have made so many friends that night. Regardless, soon(ish), I will return stateside, and like Druckerman says: “…the fact is, those drones are my people.” And nothing can replace my people. Some of the best trips are carefully planned months in advance, the culmination of extensive research regarding accommodation, transportation, important sites and monuments, cultural quirks, and off-the-beaten-path gastronomy. They’re organized around tourist high or low seasons, weather patterns, and local festivals that can’t be missed. Other wonderful trips are planned three days in advance, the culmination of zero research, and organized around little to nothing. This is a story of one such trip. I recently returned from a three day jaunt in Barcelona, a city that I previously visited while studying in Sevilla and hadn’t returned to since. A friend was headed there for a conference and asked me to join at the last minute. Incapable of saying no to an adventure, I jumped on board. While less jam-packed than my first visit to Spain’s “most European city,” I used this opportunity to revisit and expand upon some of my favorite aspects of my first Catalán experience: the Mediterranean, Gaudí’s architecture, and the Boquería food market. My 2010 visit included a walking tour of the city, centered around the incredible works of Antoní Gaudí, but only their exteriors; this time, in addition to revisiting Casa Battló, I paid (an annoyingly high but 100% worth it fee) to enter the Sagrada Familia, a basilica that remains under construction to this day. My 2010 visit included a brief stroll along a boardwalk near the water; this time, I walked along the port one day and spent another day sitting on a bench in the sand and watching the waves roll in, something that proved quite therapeutic considering that one of the most popular song lyrics written about my current home, Madrid, is “aquí no hay playa” (there’s no beach here). My 2010 visit included multiple visits to La Boquería for picnic provisions; this time, I went once and may have accomplished the best spread yet: two varieties of fresh baked bread, jamón ibérico, mini bananas, golden kiwis, raspberries, and chocolate covered almonds, all of which were consumed in a patch of grass alongside the Arc de Triomphe. The real serendipity came, however, on Sunday evening. The rain had miraculously stopped, and my friend and I were wandering through the city center. As we approached a medium sized plaza, we heard the sounds of a live band. Getting closer, we saw giant characters (a devil, a cobbler, etc…) mounted on people, spinning in circles to the music (check out a quick iPhone video I shot here). After soaking it in and clapping along with the crowd for a while, we made our way down a side street, only to realize the giants were following us. When the parade passed, we walked a little bit more to the cathedral, where we quickly realized we were still in the midst of the celebration. Before we knew it, children dressed in costumes were running and skipping in our direction to the sound of beating drums, waving sticks to which small fireworks were attached. Between the flash-bangs of the mini explosions and the smell they produced, our senses were overloaded. It turns out all of this was part of the Fiestas de Santa Eulalia, an annual celebration in honor of the patron saint of Barcelona, a brave girl who, according to the legend, refused to give up her Christian beliefs in the face of persecution and torture by the Romans. The festival commemorates the principles and conviction of this young girl, and is geared toward children, though I saw a lot of scared young faces and imagine mine would have looked similar had I found myself there when I was smaller. We were lucky to see two of the most important parts of the festival: the gigantes, and the kids dressed as devils running through the streets with firecrackers. Unfortunately, we missed the Sardana, a traditional Catalán dance. 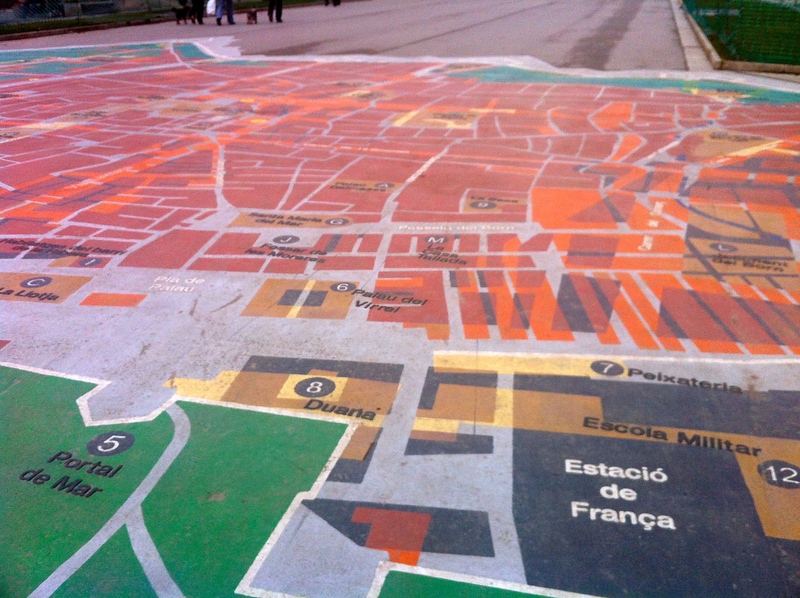 It is very unlikely that I would have planned a trip to Barcelona around the Fiestas de Santa Eulalia. In reality, I didn’t even know they existed until I stumbled upon giant people dancing in a square in Barcelona’s old town (for the record, nor did my travel buddy, who is Spanish). But these, my friends, are the most beautiful discoveries of all. For an explanation of this video and a link to watch it, scroll to the end of the post. As I’ve mentioned before, my school is one of 15 in the entire Madrid region that is participating in the Technology Innovation Project. For the students in 7th-10th grade, this means using a virtual classroom (similar to Blackboard) in each of their core subjects, integrating technology into many class and homework assignments, and having a retractable computer at their desk to facilitate said integration. For me, it means having a SMART Board and internet access in most of my classrooms, giving me the chance to bring more authentic, current and entertaining English into my lessons than I likely would have otherwise. Just last week, my 9th and 10th grade students worked in small groups to analyze top Super Bowl commercials from recent years, watching them on the computers at their desks, identifying target audience, marketing strategies and commenting on their efficacy, and then showing their ads to the whole class on the SMART Board. In the past, I have used these resources to take the College Board college placement survey with my juniors, view interactive images of the Hurricane Sandy destruction with my 7th graders and do a mini research project about festivals of light around the world with my sophomores. As a teacher of teens in the 21st century, the opportunity to use this type of technology in the classroom is without comparison. My students, who have been studying English since kindergarten, have digested their fair share of vocabulary lists, role plays and artificial recorded conversations as listening practice. Plus, they’re products of their generation, their lives even more naturally intertwined with technology than mine. It’s rather impossible for me to get a room of 25-30 of them in complete silence for an explanation on the whiteboard, or to get them to allow me, or a classmate, to finish a sentence if the bell rings in the middle of it. However, when the activity involves a YouTube video, it’s not uncommon for pin-drop silence and begging to stay a minute longer to finish the clip. Of course, excellent teaching can happen with nothing more than a stub of chalk and a blackboard, but access to these resources has made my experience as a new, young teacher that much easier and more successful. 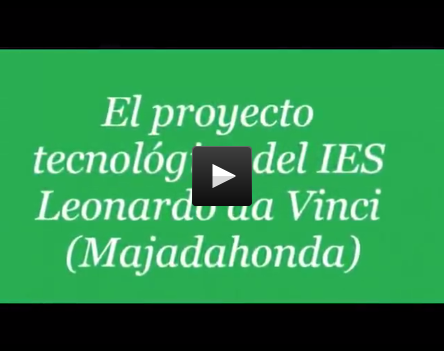 To showcase the work that our school is doing within the Technology Innovation Project, my talented colleague Elena made a video complete with interviews with participating students and teachers as well as shots of the technology at work. For those of you who speak Spanish, it’s a great listening exercise. For those of you who don’t, it’ll at least give you a peak into my daily life at work with images of the facilities, students and my coworkers. And finally, for those of you who have repeatedly asked me to “Say something in Spanish! Anything!”, I appear at minutes 3:20 and 4:10. Enjoy!